Andy Murray capped off a sensational 2016 by winning the ATP World Tour Finals in London on Sunday. The three-time grand slam winner thrashed five-time champion Novak Djokovic in the showpiece match at the O2 Arena – a win that ensured he finished the year as world number one. After playing two marathon matches in reaching the finale Murray made a sluggish star to the tie. But with the top ranking up for grabs the 29-year-old, who had lost 13 of his last 15 matches to the Serb, turned up the heat as the first set went on. Djokovic looked rather out of sorts and Murray took advantage to lock down the opener 6-3. With a host of film, music and sporting celebrities watching from the stands Murray continued to pile the pressure on his 12-time grand slam winning opponent. Djokovic staged a mini comeback from 4-1 down in the second but Murray proved too strong on the night. At his third attempt Murray sealed the second 6-4 to became the first British man to win the event and end the year as number one since computer rankings were introduced in 1973. 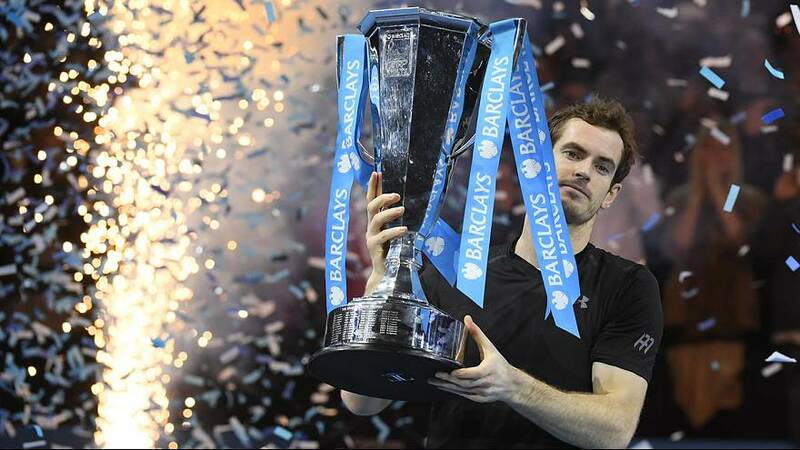 It was his ninth title of a stunning year which included a second Wimbledon and Olympic title. The win was also Murray’s career best 24th consecutive victory and it ended Djokovic’s four-year run of success at the tournament.